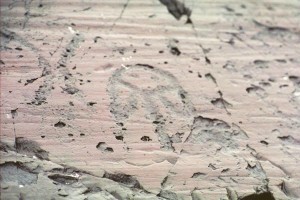 There are over 500 petroglyphs at nine sites in Machias Bay in Maine. 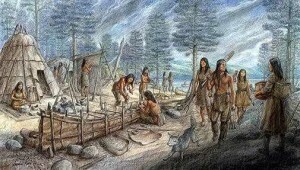 During this period, the Passamaquoddy occupied the Maine coast from the mouth of the KennebecRiver easterly into central New BrunswickProvince. 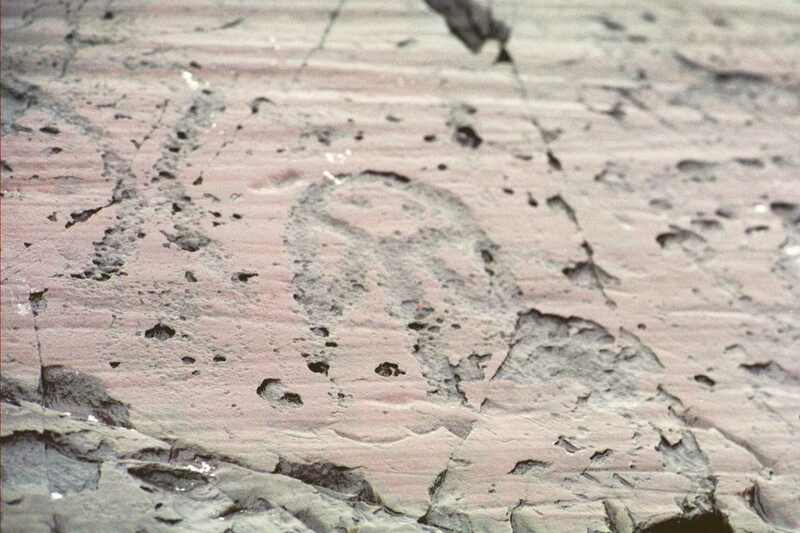 Six different styles of petroglyphs have been identified as occurring throughout this period. Seasonal gatherings involving more than one hundred canoes loaded with Indian visitors took place at MachiasBay as late as the 1790s. European settlers reported that the sounds of drumming could be heard through the night. 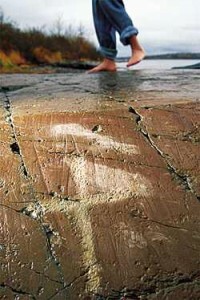 The petroglyphs are on land that recently transferred to the Passamaquoddy tribe institutions.